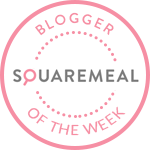 Emily's Recipes and Reviews | UK Food Blog | Leicestershire : homemade sweet chilli salmon fishcakes with poached egg, smashed avocado and tomato and chilli chutney. homemade sweet chilli salmon fishcakes with poached egg, smashed avocado and tomato and chilli chutney. We all love brunch these days, don’t we? With menus packed to the brim with smashed avocado, delicate smoked salmon and scrambled tofu, there really is everything for everyone, specifically between the hours of 10am-12pm. For me, I’m a real seafood and fish lover, often opting for the likes of Egg Royale, smoked kippers and spicy kedgeree. Recently, I was lucky enough to be invited to the sauciest of brunches for seafood fans, hosted by The Saucy Fish Co. With four courses of delectable dishes to show of their seafood selections, I really was in my element, in particular the Lime and Coriander Salmon Breakfast Wrap and Smoked Haddock Kedgeree with Cheddar and Chive Sauce. Inspired to create my own brunch at home, I’ve used the Saucy Fish Sweet Chilli Salmon Fillets with Tomato and Chilli Chutney to create a stacked up breakfast treat with fresh avocado and a runny poached egg. Plus, the panko breadcrumbs and sesame seeds give that extra texture and crunch. How do you have yours? Step one. Boil your potatoes for 10-12 minutes until soft. Drain, add the butter and mash with a fork. Season to taste with salt and pepper. Preheat your oven to 180 degrees C.
Step two. Add in the salmon and mix until combined. Split the mix to 2x 150g patties. Step three. Add your beaten egg and breadcrumbs to different bowls. Step four. Dust your surface with plenty of flour and then dip your fishcakes in egg, then flour, then breadcrumbs and lastly a sprinkle of sesame seeds. Bake for 20-25 minutes until golden. The ingredients are cooked so you’re just looking for the golden finish that suits you! While they cook, you can get your smashed avocado mixed up and poached eggs at the ready. Remember to save The Saucy Fish Co.’s Tomato and Chilli Chutney to drizzle on top of your stack! Finally poach the eggs to your liking (3 minutes for me) and garnish with plenty of cracked black pepper and sea salt. The delicious Sweet Chilli Salmon actually just won a Best of Health Award from Healthy Food Guide magazine - and I can see why! It can be purchased from Sainsbury’s or the Saucy online shop, with the frozen range available from Sainsbury’s and Tesco. What brunch recipe would you create? Do you love seafood at brunch time? If you aren’t sure about making your own fishcakes from scratch, remember they also sell some mouthwatering ready made ones to save you a little bit of time! In collaboration with The Saucy Fish Co.